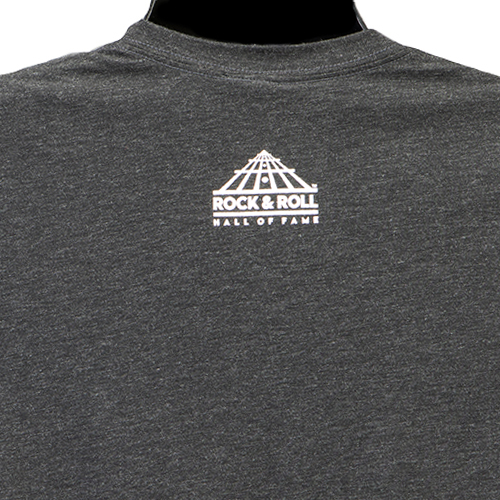 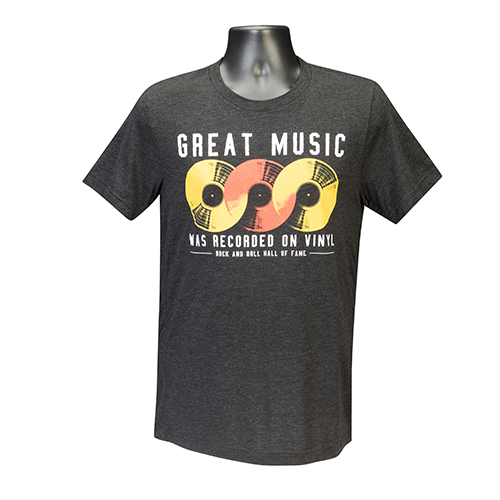 This charcoal grey short sleeve shirt reminds us that "Great Music Was Recorded on Vinyl." Museum logo on the back. Unisex sizes S - 2XL.